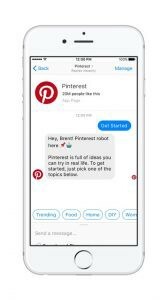 Pinterest is the newest addition to the group of super brands that have a presence on Facebook Messenger with a chatbot. You can check out some of the others on our home page! 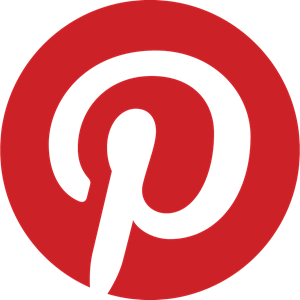 More than 200 million people use Pinterest every month to find ideas to try, from recipes to gifts to decor for the home. Family and friends are often a big part of these plans, and that’s why nearly 1M Pins are shared to Facebook Messenger each week. To help boost usage and make access to the Pinterest ecosystem easier Pinterest have developed their own version of QR codes. What do you think? We see 020 or “offline to online” as being a huge area of development here in Europe soon. Messenger provides their own type of scannable code, usable from inside the Messenger app. A standard QR code can also be used to help launch your bot as Messenger bots have URL codes. Ours is m.me/norskbots. We have written about codes for our clients bots here. 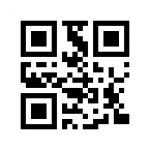 Scan to try our bot! 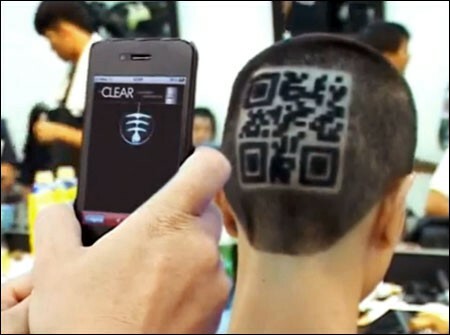 Taking a cue from some of the prevalence of QR codes around the world, like China, Pinterest said today that it is rolling out its own variation of QR codes for retailers and brands. They behave like you’d expect for a QR code, where users can open the Pinterest app and use the code to quickly jump to a board without having to search or tap several times to get there. It’s another way of reducing friction to getting to the content from those brands or retailers on Pinterest, as a huge amount of the content on the service comes from brands or marketers. 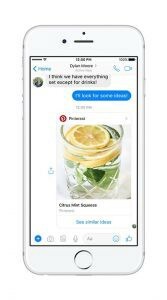 We’re rolling out a Pinterest chat extension to make it simpler to share Pins and collaborate with family and friends directly from Messenger. Now Pinners can easily share ideas without ever having to leave the Messenger conversation. Ever used an extension in Messenger? Basically it allows you to interact with a bot or website inside of a chat by tapping the blue plus icon bottom left as seen in the image below. Book a call with me if this opportunity excites you. Offline to online can work well in a number of situations. Do you have a big shop floor or find it difficult to engage customers in the store? Simply add a scannable code to the product shelf or area and let your bot do the talking. Many shy customers find this a preferrable option. Perhaps add it to your print adverts? Or as is popular in Asia hand out flyers, put up posters or even signs. We can guarantee you aren’t this dedicated though! Originally published at NORSK BOTS . NO.